Cincinnati, a midsized river city in the generally anti-urban state of Ohio, is — surprise! — becoming a real leader in sustainable urban development. Work on the city’s hard-won streetcar project is underway now, to the ire of the state’s governor and the region’s congressman. The focus on a comprehensive urban approach is a bold diversion from Mayor Charlie Luken’s (D) administration which ultimately left the city without a Planning Department after a heated debate over whether to allow Vandercar Holdings to build a suburban-style development at what is now the Center of Cincinnati big-box development. 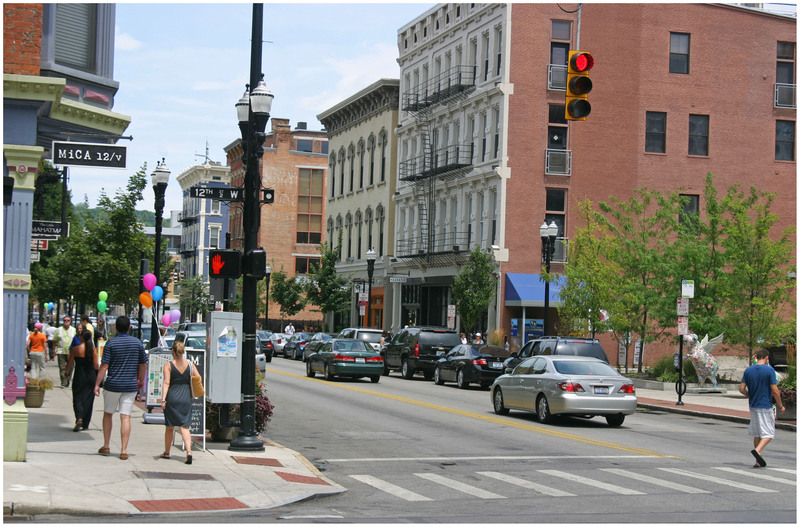 In the early 2000s, Vandercar had agreed to go along with Cincinnati’s Planning Department and build a mixed-use development on the site. Disagreements over the project led to a change of heart by the development team, and a strong reaction by both Mayor Luken and then City Manager Valerie Lemmie to dismantle the city’s planning department. Compare that with Cleveland, which boasts the oldest zoning code in the United States, and has no plans to revise it. Thank you, Cincinnati, for demonstrating that even smaller cities in the Midwest can rise to meet the challenges of the 21st Century. Elsewhere on the Network today: Hard Drive reports that Oregon drivers are consuming less gasoline, the lowest amount, in fact, in 50 years. Greater Greater Washington writes that reducing car dependence isn’t anti-car, as so often charged — it’s common sense. And Urban Review STL says St. Louis’s transit agency, Metrolink, has a tone-deaf approach to communicating about transit.